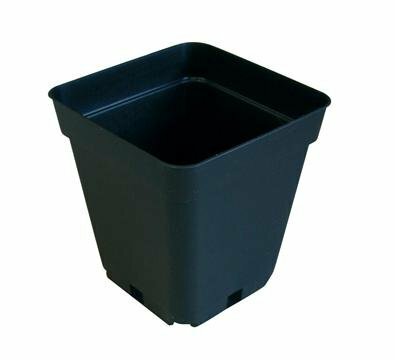 These green injection molded pots feature dual drainage bottoms along with an increase in soil volume over round pots to provide enhanced root development. Ideal for herbs, perennials and annuals. High quality construction for maximum root protection from light penetration. Used in conjunction with trays to assist in handling and labor saving.